Nic Kerdiles is an American professional ice hockey forward for the Manitoba Moose of the American Hockey League (AHL) while under contract with the Winnipeg Jets of the National Hockey League (NHL). Kerdiles was selected by the Anaheim Ducks in the second round (36th overall) of the 2012 NHL Entry Draft. Today, we will try to disclose his facts including his career, affairs and many more in his biography. What is Nic Kerdiles known for? An American professional ice hockey of AHL and NHL. Being a fiancee of Savannah Chrisley. What is Nic Kerdiles full name? Back to his early life, Nic was born as Nicolas Kerdiles in Lewisville, Texas, U.S. Later, he moved to Irvine, CA with his family at a young age. He is American by nationality and belongs to white ethnicity. His birth sign is Capricorn. Regarding his education, there is no information available yet as their parent's details. If you know anything about his past time, please share with us by using comment. When did Nic Kerdiles pursue his ice hockey career? 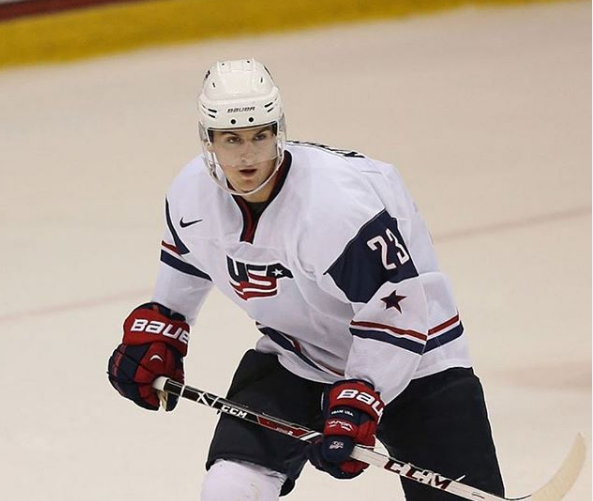 Nic began playing ice hockey at the age of six and he learned and trained to play hockey. As a youth, he played in the 2007 Quebec International Pee-Wee Hockey Tournament with a minor ice hockey team from Los Angeles. He played two seasons of NCAA Division I hockey with the Wisconsin Badgers. During his freshman season, he led the Badgers to capture the Broadmoor Trophy as the WCHA playoff champion and was recognized for his outstanding performance when he was voted the most valuable player of the 2013 WCHA Men's Ice Hockey Tournament. On Apr 5, 2014, Kerdiles relinquished his final two seasons of NCAA eligibility to sign a three-year entry-level contract with the Anaheim Ducks of the National Hockey League. He made his professional debut with the Ducks American Hockey League affiliate, the Norfolk Admirals during the 2014 Calder Cup playoffs. 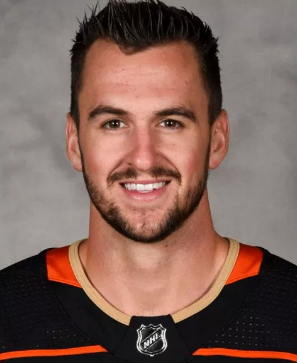 On February 22, 2017, Kerdiles became the first player raised in Orange County to play for the Anaheim Ducks in his NHL debut against the Boston Bruins. The club re-signed him to a one-year, two-way extension worth $650,000 on June 17, 2017. As an impending restricted free agent, Kerdiles was traded by the Ducks to the Winnipeg Jets in exchange for Chase De Leo on June 30, 2018. He was later signed to a one-year, two-way contract with the Jets on August 21, 2018.
Who is Nic Kerdiles current Girlfriend? 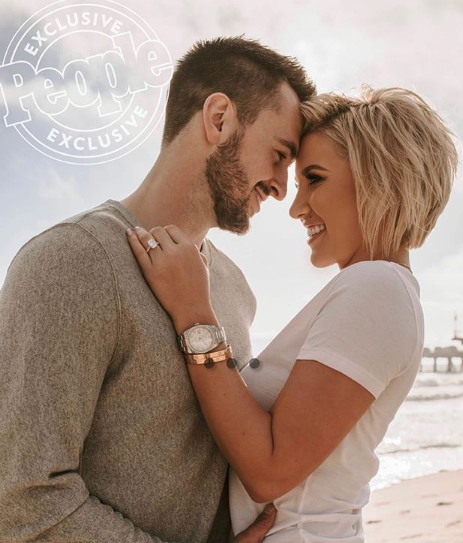 Reflecting his personal life, he was engaged his long-term girlfriend Savannah Chrisley. They are dated each other since November 2017. According to the latest update, he purposed to Savannah in previous Christmas Eve i.e 24th Dec. 2018 for engaged. As of now, the couple lives a blissful life without any rumors. Talking about his previous relationship, there is no record available yet. If you have any details about his previous relationship, please share with us using comment. Who is Savannah Chrisley current Boyfriend? How much is Nic Kerdiles worth? Nic Kerdiles's net worth has grown significantly as of 2019. However, we do not have the exact net worth details in our database. According to Latest Reports of Forbes, Nic Kerdiles's estimated net worth Under Review. Nic's primary income source is Hockey Player, Currently, We don't have enough information about his Cars, Monthly/Yearly Salary, etc. In the case of the updated, we will let you know. How tall is Nic Kerdiles? Observing his body figures, he has an athletic body with a height of 6 feet 2 inches and a weight of 89 Kg. He is left-handed. Similarly, he has a pair of dark brown eyes and hair color. His other body information was not disclosed yet. In the case of disclosed, we will let you know. 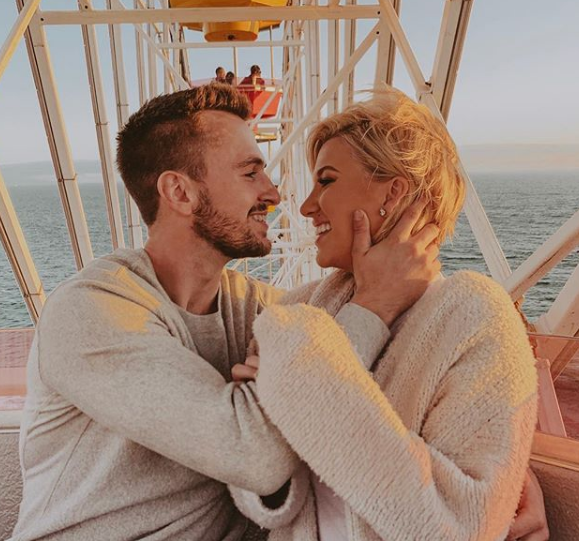 Announced her engagement to NHL star left wing Nic Kerdiles on April 3, 2019.